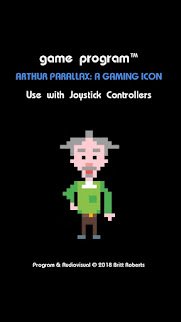 We were intrigued by Game Pix after discovering the website on our usual trawl of The Video Games world on Twitter. 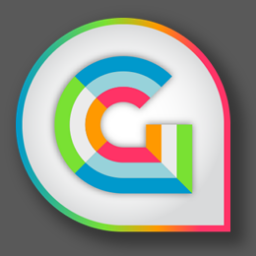 GamePix was created to enhance the concept of online gaming experience. You get to "Create your avatar" "Play Games" "Conquer the world" and hopefully "Become The KING!" We liked the idea of this, so gave it a try! First steps are to create an avatar. Naturally we opted for a pretty female gamer chick type Avatar called GamesFreezer. We got to style her body (curves), hair (brunette), brows (cute), eyes (green), Nose (button), mouth (happy), ears (small) and clothes (ravishing!). Once this was complete and we'd stopped ogling her we then got an explanation of how the game works. Basically, Game Pix is all about conquering the real world map Pixel By Pixel. If you find a free Pixel you can conquer it immediately for the price of 20EP (we conquered Essex without a hint of a fight!). If you find a particular location / Pixel that you really want to conquer is already taken, then you can fight it out with the owner of that Pixel in a FIGHT TO THE DEATH! You Avatar's abilities will be matched up against whoever you challenge and then both combatents will go head to head in a fight for the Pixel in question. The winner will then own that Pixel. In order to boost your Avatar's stats you get the opportunity to play free games in the "Gym". These games will go towards boosting your skills and getting you to a level whereby you can confidently challenge others for their pixel. There are over 10000 Free Games to choose from so you are truly spoilt for choice! The Games you play, the stronger you become. The ultimate aim is to challenge others, conquer the world and become king of your country! We have just started out with our buxom heroine and will update you on progress as we begin to take over our territory. First Impressions of this novel concept are good. We like the user interface and the styling of the hub etc. We got then opportunity to play Coaster Racer 3 with its oasis style guitar music and we really enjoyed it. Its a simple racer but really enjoyable as you tear it up round corners overtaking and earning achievements and points for your avatar! 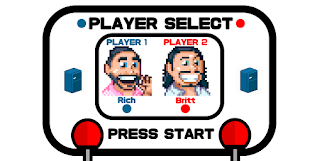 Overall we will most definitely be returning to Game Pix in order to take over the world PIXEL BY PIXEL! Check it out and sign up at Game Pix and look for GamesFreezer! What's your favourite of the 10,000 games on offer in Game Pix? Do you like the concept of Game Pix? If you love your Retro Gaming and want to visit something special this June that will satisfy your appetite for a Retro fix, then you need to get yourself to the "North East Retro Gaming" event on the 29th and 30th June at Gateshead Stadium - It's Never GAME OVER! Its a Retro Gamers dream come true! Over 150 machines to play, all set to free play! Video, pinball and home computers. 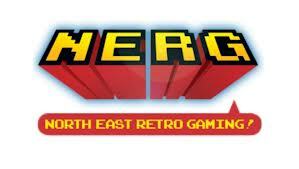 With a collection of nearly 40 arcade machines, the Retro Games Party will have almost their entire collection at NERG. Exclusive - The MATRIX Pinball will be at NERG which is a UK first and will be available to play for FREE! Take a look at the NERG website below and get your tickets today! Send us your pictures of your visit to NERG and Let Us Know How Much You Enjoyed it, as we will be running a feature on it soon! 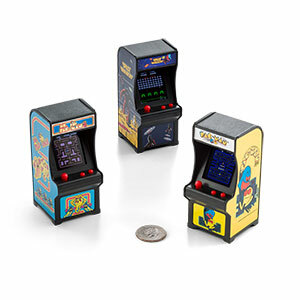 If you LOVE Arcade Games you will LOVE this film! The rise and fall of the Video Games Arcades in the 80's is a sad story that saw almost all of the great Arcade machines disappear from our high streets and shops only to be consigned to history and looked back on with fondness. It's rare in the UK to see Arcade machines outside of the seaside town Amusement arcades nowadays and we at Games Freezer* do miss the Arcade machine in the local Fish & Chip shop that would gobble our 20p while we waited for our Cod & Chips to be cooked. 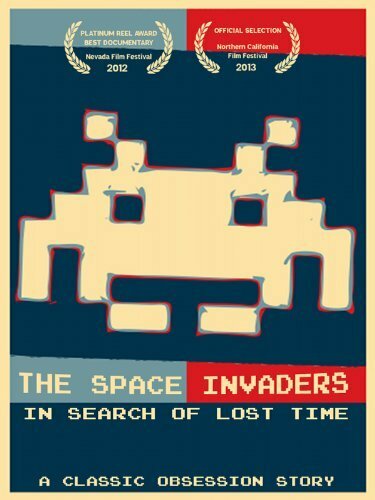 "The Space Invaders" is a documentary that looks at the fall of the Arcade industry and in particular talks to those enthusiasts who are looking to keep the Arcades alive by collecting cabinets and building their own Arcades in their homes. It's a great insight into the Arcade Machine collectors culture and a really well told story from director Jeff Von Ward that brings alive the passion these guys have for the Arcade Cabinets. Check out the link below to find out more and support this great documentary. Once you have watched it let us know what you thought of it? It made us want to build our very own GamesFreezer* Arcade in London! If we built it......would you come along? The Games Freezer Team escaped the clutches of The Freezer* and hit the road in search of Sun, Sea and Amusement Arcades! After arriving on The Sunny Tropical Isle Of Wight and taking a trip to Sandown Pier Amusement Arcade it was time to get stuck into the Arcade Games. The arcade games from the past that tend to stick in the minds of all of us at Games Freezer* are the quoteable ones. Its not unusual to hear "Power Up!" or "Haduken!" ring round the Games Freezer office as we go about our daily gaming business! It got us thinking about the best example of the most quoteable games over the years. 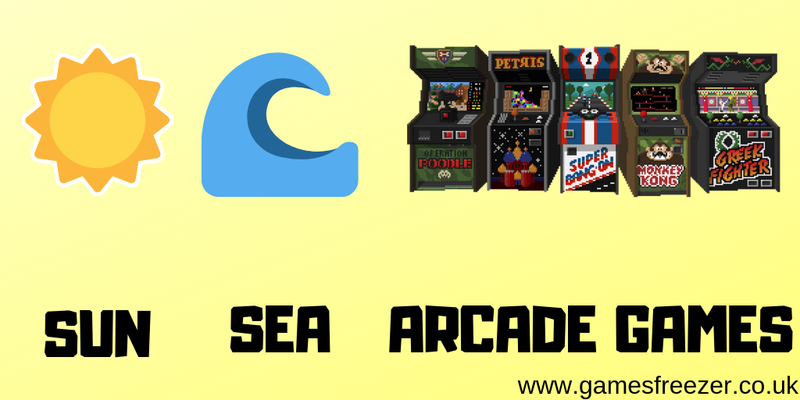 We had a think and compiled some of the coolest Quoteable retro Arcade games that we still quote to this day. 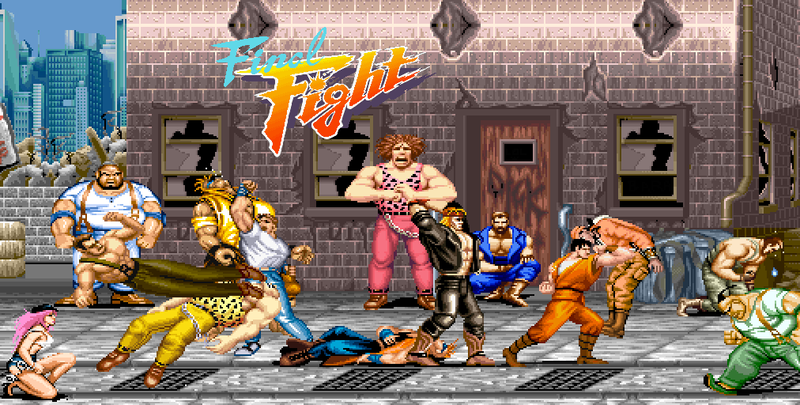 So without further ado cast your eyes over our Top 5 and "Get Over Here!" Games Freezer* - Site Of The Day - @RacketBoy - "Retrogaming With RacketBoy"
RacketBoy Loves An 8 Bit Cartridge and so do WE! Every now and again there is one website that you come across that grabs you with it's quality of writing and displays a genuine passion for its subject matter. That's exactly what is evident when you start delving into RetroGaming with RacketBoy. This site is jam packed with great articles on all things RetroGaming. We lost a good hour just searching through all the cool articles. One article really grabbed us more than any others and that was "Why I Am A Retro Gamer"
Take a read of this article and have a look round Racket Boy's Cool site NOW! Let us know what you think of RetroGaming with RacketBoy! Let us know of any other Cool Videogames sites we should feature on Games Freezer! Games Master was the first of its kind in the UK and it took the country by storm as it was ingrained into the gaming population's after school / after work routine of get home, have dinner and watch TV. 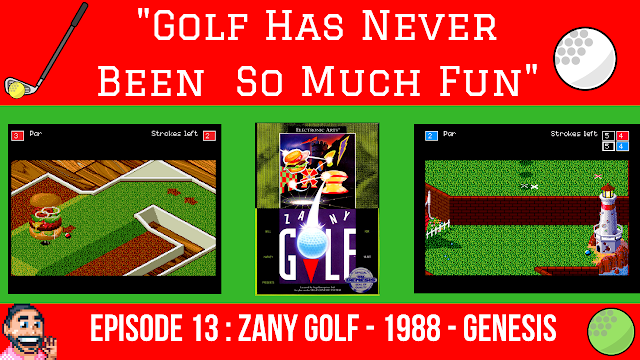 Games Master filled a hole that no other UK gaming show has managed to fill since, a prime time TV show that talks about Video Games for a solid half hour and manages to entertain the viewers with a mix of humour, challenges and reviews. Games Master ran from 1992 until 1998 for 7 Seasons and 126 episodes of Video Gaming insight. In this time Reviews of some of the great games of the day were aired and were backed up by journalists of the day from such great magazines as Mean Machines and CVG. To top it all the producers pulled off a masterstroke by casting Sir Patrick Moore as the THE Games Master who introduced each of the Challenges aswell as giving out tips on current games to gamers who were stuck. The first series was created at the time of 16 Bit console era with the first episode being aired at the time of the MegaDrive and just before the SNES being released. It was this era of gaming that Video Games had just begun to get into the mainstream and it was truly an exciting time for gamers everywhere. Thinking back to Games Master makes us think of the cold winter nights in front of the TV in anticipation of which cool game would be featured in that weeks show. It was such a fun show and really caught the mood of the gaming nation for the 6 years it was aired. If you were an 80's child in the UK then Games Master was firmly a part of growing up. Sadly the show was axed in 1998 even though viewing figures were consistently high throughout its history. Since 98 nothing has really come close to matching Games Master and the only Video Games TV show we could currently find was The Blurb on Challenge TV. So, why not sit back and relax while you watch Episode 1 of Series 1 featuring the legendary CVG & Mean Machines writer Julian Jaz Rignall! Do you remember GamesMaster with the same fondness as we do? Has there been a better Video Games TV Show Since? Is there still a market for a prime time UK Video Games show? Megans Medlee has a C♡♡L bespoke selection of retro gaming earrings for the lady gamer or even guy gamer in your life. All of the designs are made by Megan Israels fair hand and our personal favourites are the "Bullet Bills" and the "Donkey Kong" studs! 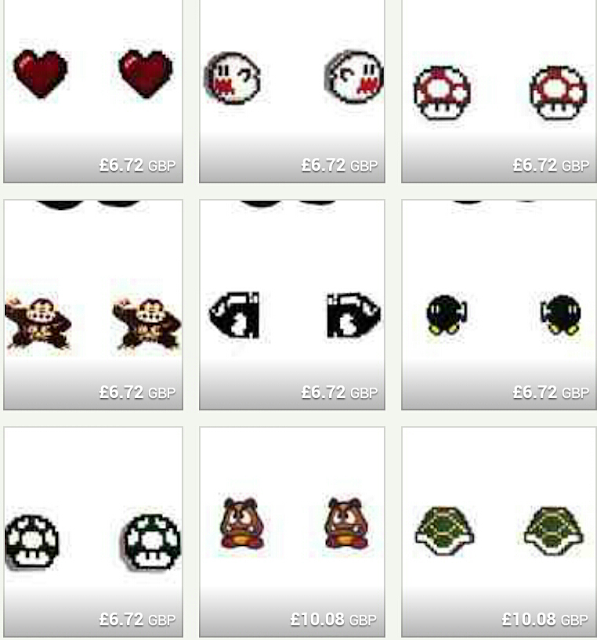 Megan has a massive selection of different gaming earrings so why not nip over to Megan's Medlee and have a browse at what's on offer! Let us know what your favourite designs were?